Darren has over 19 years industry experience across the UK and Australia. He spent 5 years at ANZ Bank specialising in commercial payments and leading ANZ’s commercial card and merchant acquiring sales teams across Australia. 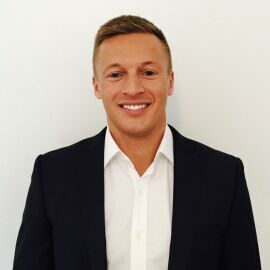 Darren joined Conferma from MasterCard where he was responsible for the management of key customer relationships with MasterCard commercial card issuers and related partners as well as supporting corporate customers directly. Darren has responsibility for the APAC Region. Based in Sydney, his time is spent managing Conferma’s existing relationships, while actively increasing our footprint in the Region.